Unveiled for the occasion of the Universal Exposition of 1900, the Grand Palais (or "Grand Palace") is technically not a palace at all, but an architectural treasure from the "Belle Epoque" period that has seen a 21st-century revival after falling into semi-disuse. Following its full, laborious restoration between 2001- 2008, the Palais is now one of the most coveted venues in the city of light for large-scale temporary exhibits dedicated to fine arts and culture. Today, crowds throng here several times a year to enjoy many of Paris' more exciting, and ambitious, fine arts exhibitions at the National Galeries. In recent years, retrospectives dedicated to the likes of Claude Monet and Georges Braque have sold out, leaving many enthusiasts pining for the elusive tickets. This is why I always recommend scanning upcoming exhibits well in advance, and booking tickets online as soon as possible to avoid disappointment. Meanwhile, the adjoining Palais de la Découverte (Palace of Discovery) focuses on science and natural history, and can make a great outing with the kids. It's yet another often-overlooked gem in central Paris, bringing together modern discoveries with the old-world charms of a traditional natural history museum. The Grand Palais is situated in Paris' western 8th arrondissement (district), close to the historic Avenue des Champs-Elysées and Arc de Triomphe, and further east, the regal Place de la Concorde. The National Galeries are open every day except Tuesdays, from 10:00 am to 8 :00 pm. Tickets: Visitors must purchase tickets for exhibits at the National Galeries and the Palais de la Découverte separately. 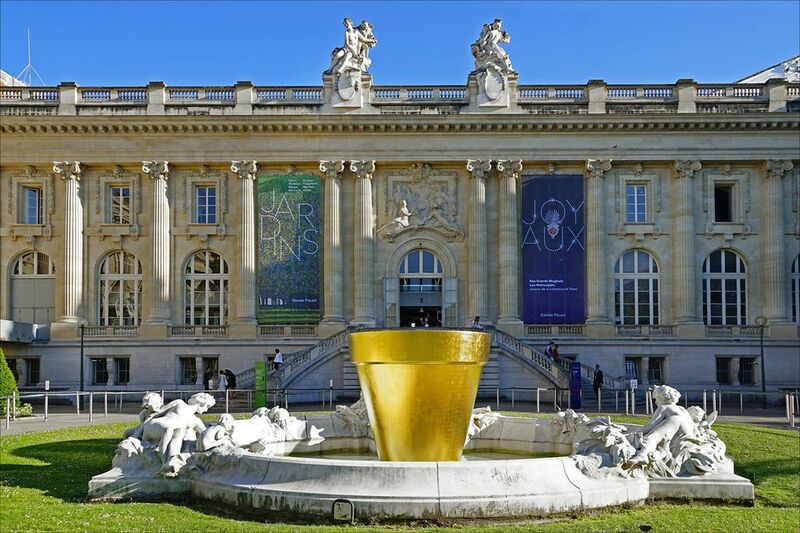 Reservations are highly recommended as the Grand Palais' temporary exhibits are highly frequented, and many people book weeks or even months in advance. Ticket prices vary from exhibit to exhibit. Discounts are available for children, students, and seniors. Parisians head to the National Galeries in part to say they've taken part in the headlining events that go on here, and more than a million people visit the temporary exhibits here each year. Recent exhibits that have drawn impossible crowds include retrospectives of Gustav Klimt and the Vienna school, Picasso and his early influences, and exhibits with a broader scope, like the annual International Forum of Contemporary Art (FIAC). Again, because the National Galeries have in recent years become wildly popular, reservations are not only recommended-- they can also be necessary. Why to Visit Paris' Arc de Triomphe On a First Trip to the City?